Onsen scent is a fresh blend of peppermint, eucalyptus and mandarin that creates a luxurious and restful environment in which to unwind right before you go to sleep. The inspiration, Onsen is a Japanese “hot spring” or thermal bath and is a huge part of Japanese culture for both men and women. Bathing in an Onsen leaves you feeling rejuvenated, relaxed and clean. Enjoy Onsen scent when taking a moment to rest or use to scent your home right before you go to sleep. 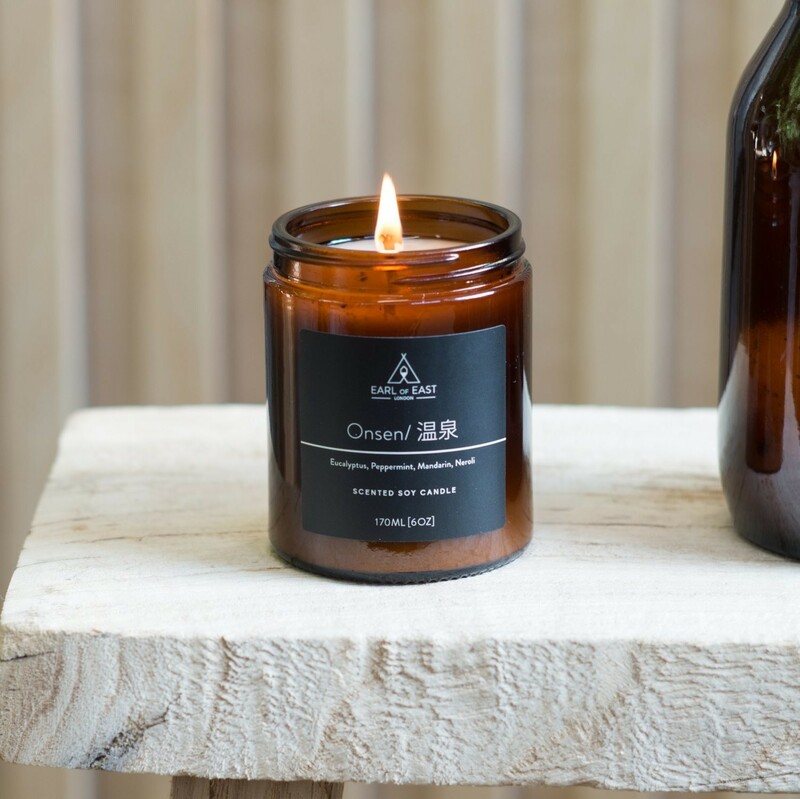 170ml Onsen soy-wax candle is part of our newest line that invites you to experience the calming and rejuvenating qualities of Japanese Bathing culture with 2 new scents - “Shinrin Yoku” & “Onsen”.